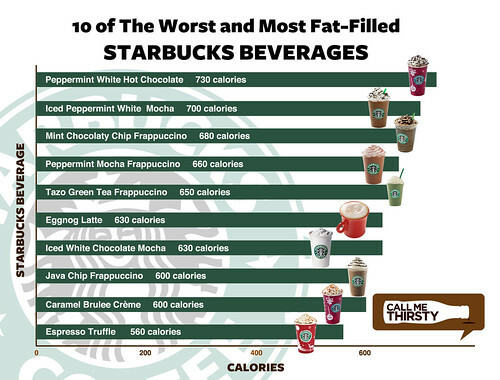 Calories, Schmalories: How much caffeine do they have? No, seriously. I can run off the calories (and by "run off," I mean "hope to burn off by clicking my mouse button and remote control a thousand times--that burns calories, right?"). But, if I drop below a certain caffeinated level, there will be hell to pay. Starbucks, pony up: how can I get the most caffeine bang for my buck? And check out "Call Me Thirsty." It seems pretty cool.